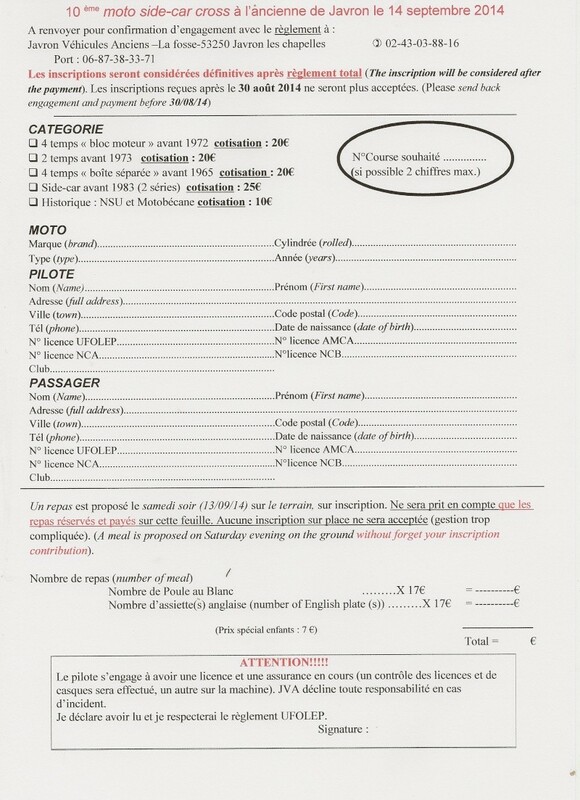 Regs now available for javron meeting france. AMCA licence. Ride with AMCA licence so just entry fee to find. good meeting . safe twinshock friendly club and track. evening meal available sat night. flush toilets and hot showers. short walk to local village and shops and bars.